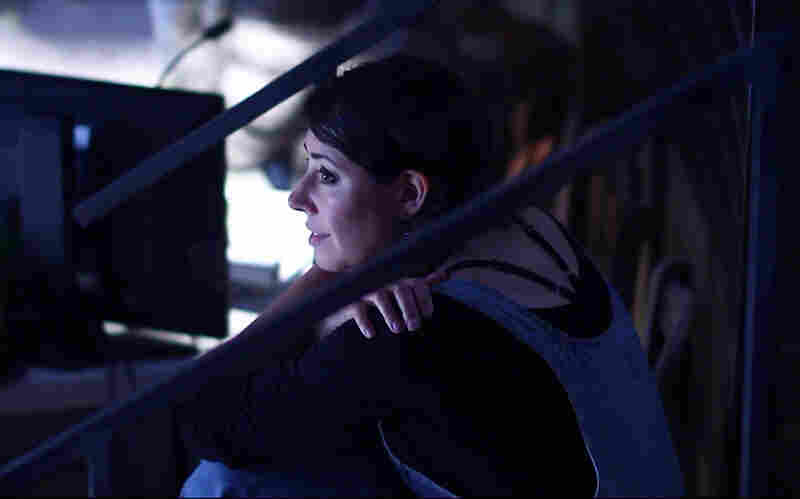 Director Rachel Chavkin Loves Chaos, And With 3 Shows In The Works, It Shows The avant garde director has two shows running off-Broadway and a musical opening in October. Though she's working on several different projects, she says there's always "a conversation" between them. 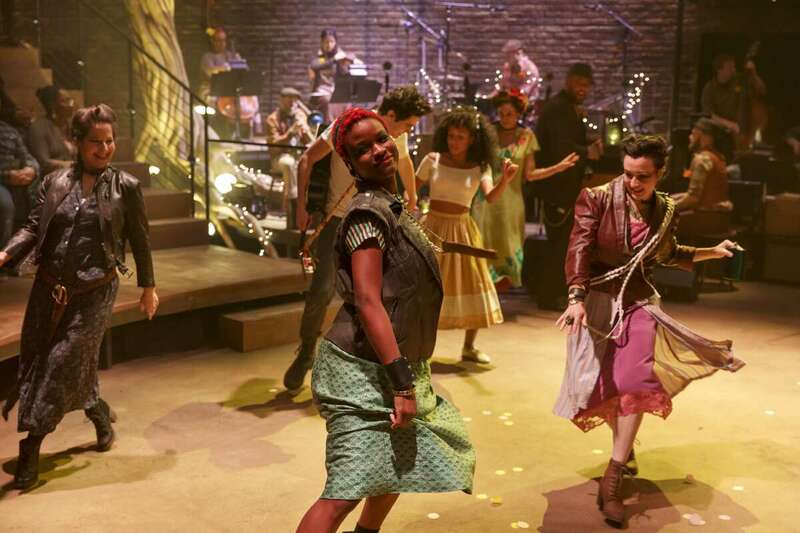 Hadestown — a retelling of the Greek myth of Orpheus -- is one of two off-Broadway shows director Rachel Chavkin has running right now. Above, from left, Shaina Taub, Lulu Fall, Damon Daunno, Nabiyah Be, Amber Gray, Chris Sullivan and Jessie Shelton. Natasha, Pierre & the Great Comet of 1812 is a musical based on a 70-page section of Leo Tolstoy's War and Peace. 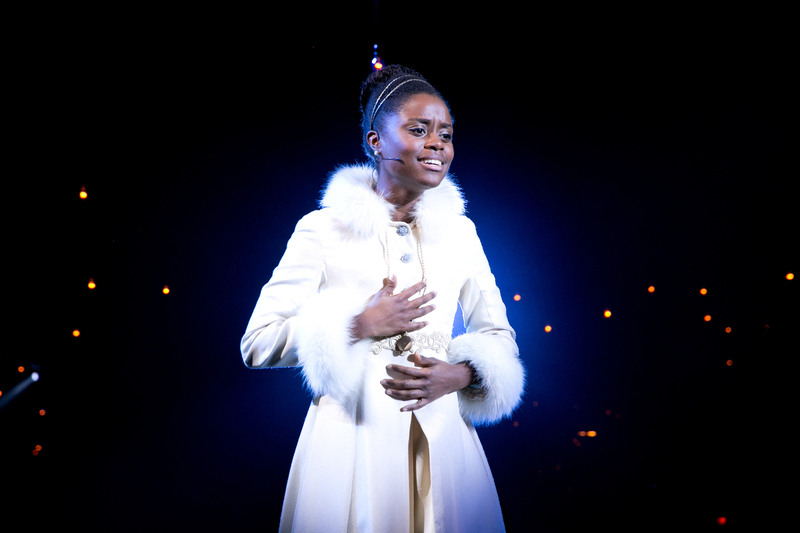 Denée Benton plays Natasha, opposite Josh Groban, in the role of Pierre. Songwriter and playwright Dave Malloy has worked with Chavkin on many projects — including the musical that's coming to Broadway; Natasha, Pierre & the Great Comet of 1812. It's based on a 70-page section of War and Peace. And during an earlier production of the show, the cast was invited to perform at a swanky New York club. "Afterwards," Malloy recalls, "we were all hanging out on the roof deck and there was beautiful swimming pool and we did not have swimsuits, but Rachel charged in. And we ended up just all diving into the pool in our clothes and it was wonderful. And that kind of celebration and, like, love of life finds its way into her shows." When Chavkin jumps in, it seems like everybody — from actors to audiences — follow. Her shows happen not just in front of the audience, but all around them. "I mean, I love chaos — honestly," she says. "So what I'm interested in is creating a really rigorous environment, in terms of every nook and cranny of it being in the world of the world, helping to tell the story of the play; whether that's the narrative or the culture of the play, in some way. But then, at the same time, leaving space to watch the world spin." Right now, one of those spinning worlds is her production of Hadestown. It's a retelling of the Greek myth of Orpheus — Eurydice, Persephone and Hades are all there, singing contemporary folk and jazz by songwriter Anaïs Mitchell, looking like Brooklyn hipsters in their vintage clothes. 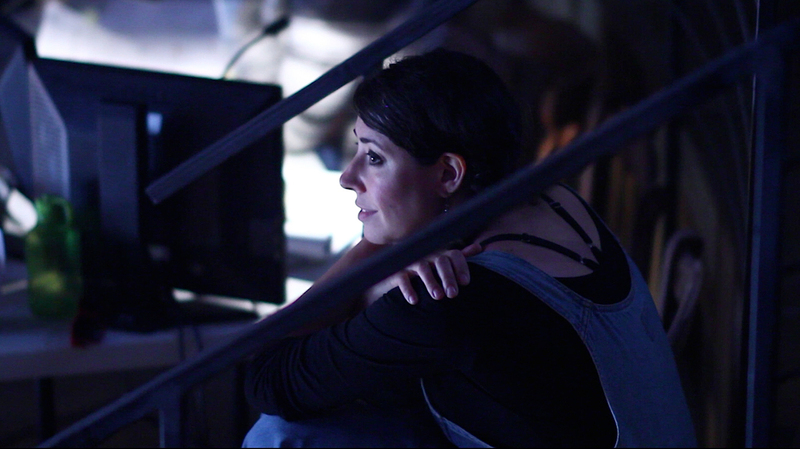 Director Rachel Chavkin looks on during a rehearsal for Hadestown. Chavkin convinced the New York Theatre Workshop to tear up their stage and auditorium to create a kind of theater in the round, with beat-up old chairs. She says: "It felt like what the story wanted was a Greek amphitheater of sorts, but that also felt like a barn — and this feeling of everyone has gathered around this tree to tell a story in dark times." Actress Amber Gray is plays Persephone in Hadestown. She'll also be in Great Comet — the Tolstoy adaptation — on Broadway this fall. "I think a lot of the art that turns her on is epic," says Gray. "And the means she uses to tell those stories are quite epic and sometimes messy on the stage. But, they are so tightly choreographed." The other show that Chavkin has running right now is the opposite of epic, but no less tightly choreographed. Small Mouth Sounds takes place at a silent meditation retreat, which means there's barely any dialogue at all. Playwright Bess Wohl wrote pages of backstory about each character, as well as detailed stage directions, based on her own experience going to one of these retreats. "Everyone comes with this incredible need, which is: I wanna change my life," says Wohl. "So, right there, you have something that feels really dramatic. And then there's also this great obstacle, which is: I can't use words! So, you know, need and obstacle is, like, the sort of basis of drama." Wohl met Chavkin over coffee to talk about the obstacle of staging a mostly silent play. She remembers Chavkin saying: The audience should feel like they've been on a silent retreat. "And I think that eye to, sort of what the experience is for the audience, is something that she brings to all of her work," Wohl says. Certainly, Chavkin's staging of Great Comet on Broadway this fall will immerse the audience in the world of 19th-century Russia — actors will be all over the Imperial Theatre, while some audience members sit on the stage, and vodka will be served. Recording superstar Josh Groban is making his Broadway debut, playing the gloomy, suicidal Pierre. The 35-year-old director will also be making her Broadway debut. And Chavkin admits, given her avant garde roots and punk rock vibe — she has tattoos with quotes from all her shows — it's a bit surprising to find herself on Broadway. "It's never been the ultimate trajectory for me — it's a trajectory," she says. "And I think, you know, as is probably clear from all these three projects, I'm most turned on by doing different things constantly that, of course, there's a conversation between them. But, yeah. It's exciting." Which means this September even more people will get a chance to jump in the pool with Rachel Chavkin.